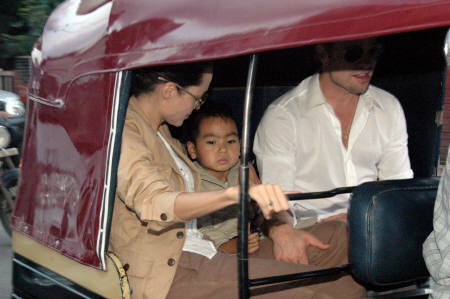 After Brad Pitt and Angelina Jolie have stepped foot in the city of Pune, the foreign as well as local media have been in a frenzy of late. Chasing the star couple along with their son Maddox we have been relentlessly and studiously getting reports of their travels, sightings and offcourse the 'daily feed' of pictures! ...the car chase involving paparazzi led to an accident with a biker couple when they were knocked off their perch after Brangelina's car hit them. Talk about a "Brandstand" appearance!! !